Bill Bratton, the Commissioner of the NYPD, retired today after a four-decade career in law enforcement. No one in the last 100 years has had more of a lasting impact on the profession than Bill (pictured above with his wife, Rikki, just after he announced his retirement). I am a police reformer and have been since I was promoted to the rank of sergeant in the Boston Police Department in 1975. There were many good cops in Boston in those days, but there was also an insular culture that had some racist, brutal, corrupt and lazy elements. I was motivated to advance in rank to get above the bad actors and to try to do something about them. I had a vision of policing, shared by others of my generation, that looked beyond the stultifying bureaucracy, the curdled cynicism and the sheer indifference that characterized a lot of police work then. A few years later, as a lieutenant, I helped to develop an early community-policing pilot project in the Fenway neighborhood. Those of us involved wanted to break out of the blue cocoon surrounding policing and work closely with neighborhood residents to protect their communities. I have carried those experiences and ambitions to the six police departments I have been privileged to lead. In each case, I have worked to change the culture and reach and motivate the officers, connect with the community and reduce crime. My best work in motivating cops was probably in the New York City Transit Police in 1990 and 1991; my best crime fighting, in the New York Police Department in 1994 and 1995; and my best community work, in the Los Angeles Police Department from 2002 to 2009. The opportunity to come back to New York for a second time awakened the old ambitions, and working with a superlative team at the department and having the unstinting support of Mayor Bill de Blasio, I tried to fold everything I had learned over the years into a reform package that would revitalize a great police agency. You have to understand the police and their worldview. Officers now live in a transparent world, with continual monitoring by cellphones, dashboard cameras and body cameras, which sometimes reveal genuine wrongdoing but also can lead to second-guessing of officers’ actions by politicians and the public. You have to show them you care about them, their safety, job satisfaction and careers. And you have to prove it by making fundamental changes in management, equipment, working conditions, training, discipline and operations. Then you have to motivate other leaders in the organization to share your vision and sense of urgency. You have to reach out to the idealist who lives in the heart of many a cynical cop, the officer who joined the police to help people and make a better world. This is a profession in which you can have a life of significance, a life that matters. Here is how we have worked to reform from within. We remade the training regimen. Instead of new officers patrolling high-crime “impact zones,” without introduction to those neighborhoods, new officers do six months of field training and work with more than 800 community partners citywide. For veteran officers, training now includes three full days of instruction in de-escalating confrontations and treating people, including criminals, with respect and fairness. In the subway and elsewhere, we are applying a less arrest-driven approach to calming and controlling emotionally disturbed people and agitated substance abusers, as well as matching the variety of homeless people with the services they need, rather than time in jail. We have renewed and improved every aspect of police technology and taken the giant step of putting a smartphone in the hands of all police officers so they have faster and more complete information about breaking situations, thus cutting response times and greatly increasing situational awareness. Challenged by the Islamic State and its bloody attacks in Europe and lone wolf attacks here at home, we have expanded the counterterrorism capabilities built by Commissioner Raymond W. Kelly. The new Critical Response Command fields more than 500 highly trained, fully equipped counterterror officers who can respond, if necessary, to simultaneous attacks all across the city. Last, we are transforming the patrol model. The old one, with most officers running from service call to service call, left no time to work closely with residents. The public was alienated from the cops, and vice versa. The neighborhood-based policing program, which will be in half of the precincts and all of public housing police service areas by October, is designed to set things right. Anchored in specific areas instead of answering calls across entire precincts, officers are being given the time, training, resources and encouragement to work with community members at problem solving. By localizing police service, we are breaking down barriers and building trust with truly productive partnerships. We are also changing the police culture by orienting the daily work of officers toward service and communications. My successor as commissioner, James P. O’Neill, was the principal architect of this plan, and he will bring it to full flower. My youthful vision of neighborhood policing on the streets of Boston’s Fenway as I began my career is becoming a reality on the streets of New York as I end it. 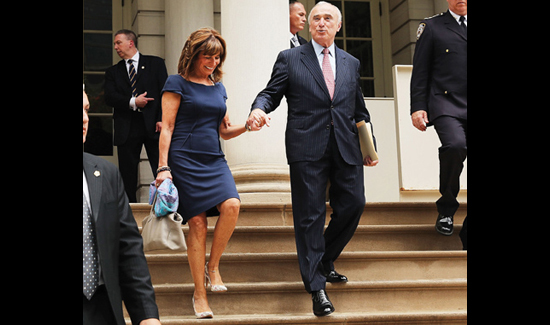 William J. Bratton has led six police departments during his four-decade year career in law enforcement. He retired from his second stint running the New York City Police Department on September 16.